Deep Traffic Sat. July 30th! This month Deep Traffic brings a variety of Stand up and storytelling to the Magnet Theater on a Saturday night! Please come out and enjoy some of the greatest comedians, storytellers and musicians in New York City! 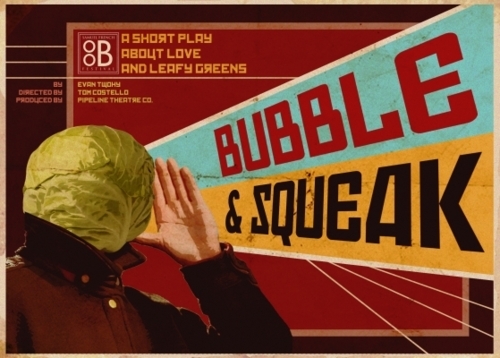 Throughout July I was lucky enough to be a part of Pipeline Theatre Company‘s production of Bubble & Squeak for the Samuel French Off Off Broadway Festival. The show was written by Evan Twohy and directed by the very handsome Tom Costello. It was a finalist in the festival and a complete blast to be a part of! Here is a review of the show- REVIEW!